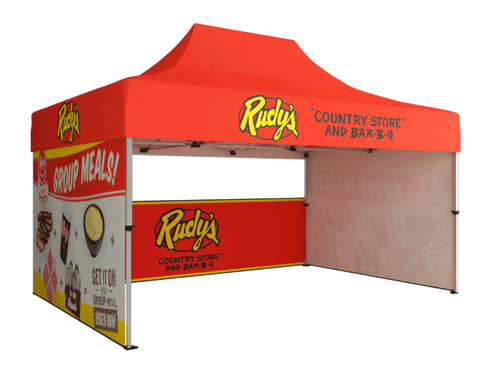 Attract your customers with this eye-catching 20’ Pop Up trade show display, with the one piece fabric Perfect-Pop technology that easily attaches to the pop up frame. From side to side, this booth appears flush and seamless, and assembles in only SECONDS! The entire display collapses and fits into a single duffel bag. Perfect for conventions, trade shows, and other events! 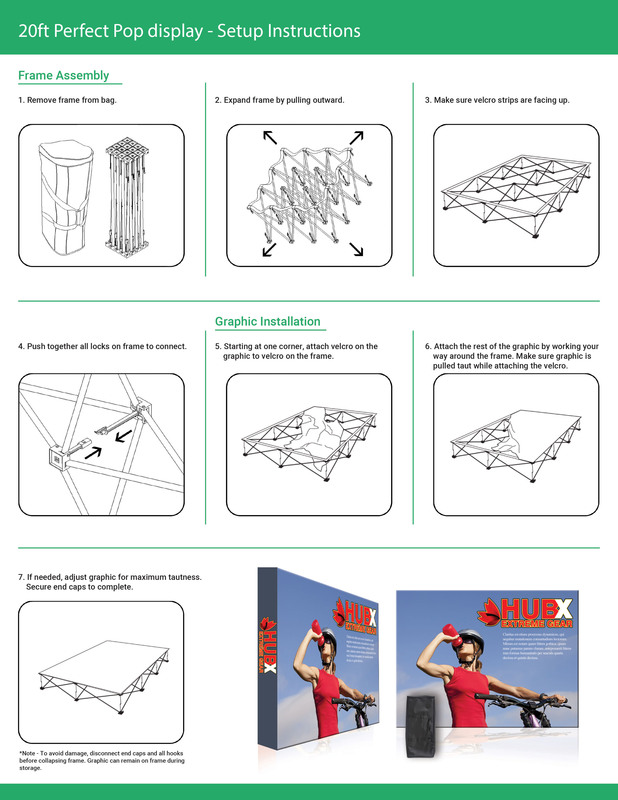 Lightweight and economical, the Perfect-Pop trade show display can be easily interchanged for years of durability and effective marketing. Let us design for you! Standard Design Services are offered at set rates based on 6 hours for backdrop + podium design (single sided backdrop). Simply send us all of the design elements such as your logos, text, pictures, and anything else you would like included, and our team of experienced designers will create a custom, professional, and effective design for you! For more information on our design services, CLICK HERE.